Similar Balls: Same Hook Potential, Lane Conditions & Coverstock as the Motiv Jackal Rising. This is my ball for my cert league. It's MONEY! If I don't bowl at least a 200 avg/600 series with it, I've had a bad day because this ball has a steady roll that's easily manageable. It's my go to ball. Next is the Ghost but I can't wait for my Trident Abyss to arrive because if the Rising is money.....LQQK out lanes! 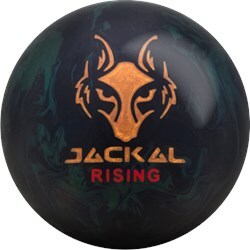 I have never owned a motiv until I bought a jackal rising. This ball is the best ball I have ever owned. It is a monster glides about halfway down then left turns through the deck leaving nothing behind. Get one and make some noise. This is a real pin buster. Out of the box this ball hooks. Only way to calm it down is to throw some polish on it. Very nice ball for heavy oil. Drilled max hook with no hole and it still flares with no problem. A must any arsenal! Easily the strongest ball in my bag. I bought it strictly for tournament play and it reacts great even on the long heavy patterns. Great step up when my united revolt & primal fear are rolling through the break. Im a tweener and it fits my style perfectly but it would also be a great addition for speed dominate players and low rev bowlers as well. The new Jackal Rising has a tweaked core and coverstock from the Jackal Ghost. The combination of the two make this ball pretty special. Compared to the Ghost, the Rising is earlier but stronger overall which makes it have HIGHER HOOK POTENTIAL. This ball does not disappoint. Although the ball is smooth rolling, its is a very strong arc. For those bowling on heavier oil or flatter oil patterns, this ball should be in the bag at all times. The reaction of this ball gives me a shape that I haven't seen in quite some time. Being an avid tournament bowler, I can see this ball staying in my bag for a variety of patterns. 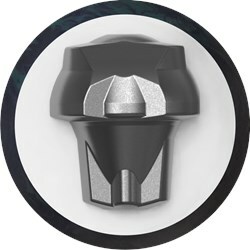 This ball is very strong on the dry parts of the lane and still gives a lot of hook in the heavier oils. For those with higher ball speed, this Rising does not go through the breakpoint. This ball just continues so well for a high performance ball as well! NOT AS ADVERTISED OR SOMETHING WRONG WITH THE ONE I GOT! This is the first Motiv ball I've ever not liked. 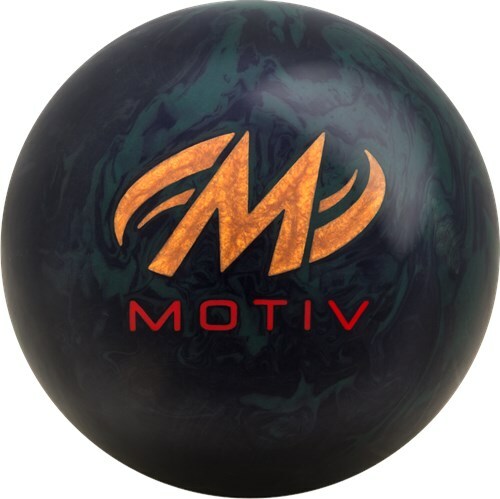 I'm running nearly all Motiv equipment right now and had high hopes for this ball. My Jackal Ghost is dead and I bought the Rising to replace it. After the first drilling 70x4x40, I didn't get any movement or backend. Had the ball plugged and redrilled less than 15 games into it to 70x5x70 and the ball still doesn't cover near the boards that are claimed. My Trident Quest covers more boards drilled exactly the same. I have tried 3 different fresh patterns and all had the same result. Will try to add more surface, but very disappointing. I submitted a review to Motiv as well and looks like they sensor them because it hasn't shown up on the site yet. I hjope this ball is not an X ball? This ball is not an X-Out ball, it is a pre order ball, which means it will be brand new and first addition. I previously had a Jackal Carnage before it was outlawed. It rolled great. I am 75, a stroker,and throw at between 11-13 mph. Will this ball have any backend left for me? I normally roll around the 8 board, down and in. My current MOTIV is a Revolt, set up to roll fairly early and then cruise up to the pocket. My ave. last year was 196 and I had my first ever 700 with that ball. Yes, it should still have some backend on it for you. The only difference will be the finish on the ball. The Jackal Rising has a higher finish and will make it go longer and be a bit more aggressive. Yes, this ball would be great for a two handed bowler. I bowl between 21-23 mph 2 handed. My rev rate is pretty high so im wondering if this ball will this ball help me out? Will this ball work well with the villain. The Jackal Ghost will have the Same Hook Potential, Lane Conditions & Coverstock as the Jackal Rising. It will perform the same. Yes, this ball would work for you! That is a better question to ask your local driller about the layout. 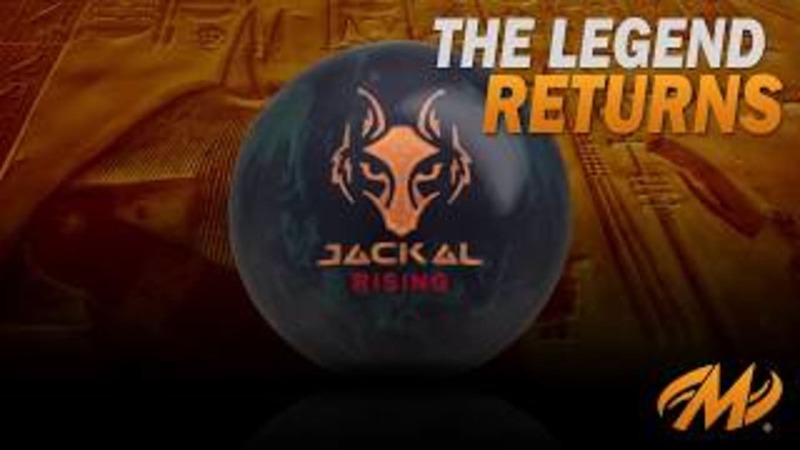 Due to the time it takes to produce the Motiv Jackal Rising ball it will ship in immediately. We cannot ship this ball outside the United States.